Bugs on the front of your car is just a fact of life of driving.Not only are smashed, dead bugs and guts unsightly, they can cause a lot of damage to your finish!The little buggers’ guts are acidic and will eat away, etch and embed into your clear coat over time and ruin your finish if you don’t remove them in a timely manner.Keeping a good coat of wax on your car will make removing bugs easier – but there are a bunch of nooks and crannies on the front of your car that seem to attract bugs like a magnet, and are hard or cumbersome to get at and clean. 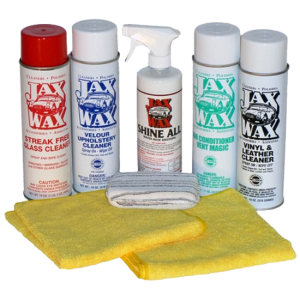 When used while while washing your car, Jax Wax Bug Zapper makes it extremely easy to remove bugs from your finish and getting at all those nooks and crannies that are typically hard to clean, like your grill. Jax Wax Bug Zapper will melt bugs away without any need to scrub and is safe for your finish. 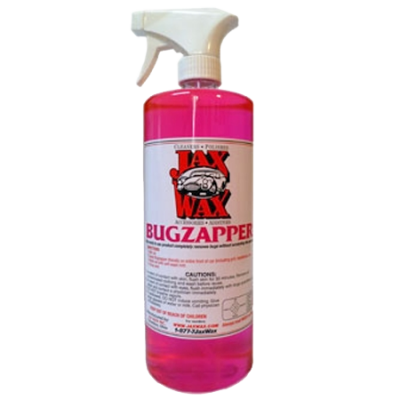 Jax Wax Bug Zapper is specifically formulated to remove bugs, and is not a harsh solvent like many “bug and tar removers” and is safe for your finish. 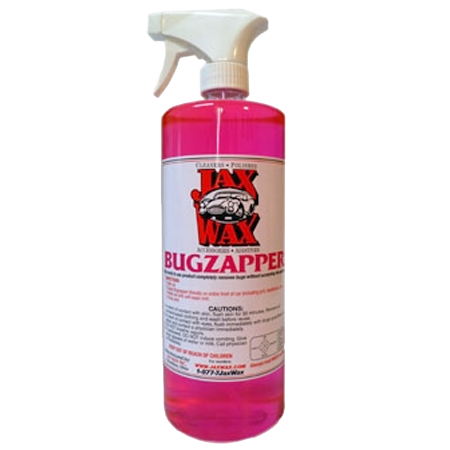 Jax Wax Bug Zapper will even easily remove embedded bugs from rubber-like license plate coatings.Just use Jax Wax Bug Zapper during your normal wash routine. 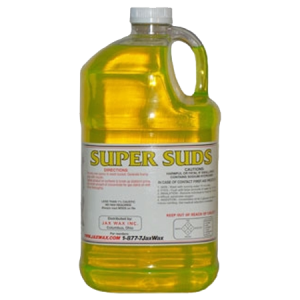 It’s as easy as wetting your finish, simply spray Jax Wax Bug Zapper on the area and wash. Bugs are gone without the need to scrub, rub or compound!On the commercial side of our business, we sell to many car washes and companies that have fleets that won’t wash their large trucks and buses without it. Be the first to review “Jax Wax Bug Zapper” Click here to cancel reply.